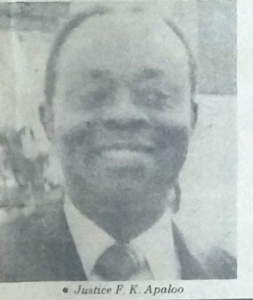 Dr Kwame Amoako Tuffuor was a senior lecturer in civil engineering at the then University of Science and Technology (now Kwame Nkrumah University of Science and Technology). 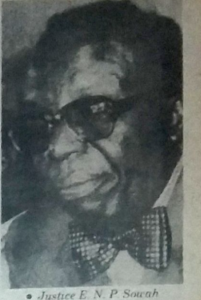 He took the bold step of issuing a writ seeking a declaration that Justice Apaloo was on 24 September 1979 (the time that the 1979 constitution came into force) deemed to have been appointed as Chief Justice of the Republic and as a result became President and member of the Supreme Court. He also sought a declaration that the nomination by the President of Justice Apaloo, his subsequent vetting and his rejection by the Parliament was null and void. With this, the stage was set for a legal battle. Dr Tuffuor’s lawyers included Nana Akufo-Addo and Tsatsu Tsikata. The state was represented by Mr Joe Reindorf and his deputy A.L Djabatey. The Attorney-General, Mr Joe Reindorf was intent on “killing” the case at the earliest opportunity. 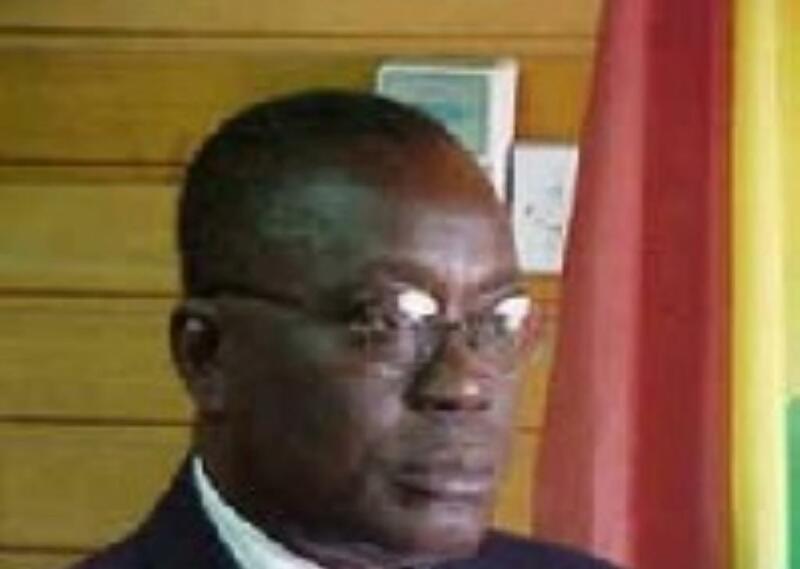 He, therefore, raised a preliminary objection questioning whether Dr Tuffuor was the right person to bring an action in defence of Justice Apaloo. In his view, the matter concerned Justice Apaloo and his capacity to act as Chief Justice. Dr Tuffuor’s lawyers in response argued that the Plaintiff was seeking to enforce the certain provisions of the constitution regarding the tenure of office of the Chief Justice. They further argued that the Chief Justice’s office and his tenure was of interest to every Ghanaian. The court sided with the lawyers for the Plaintiff and dismissed the Attorney-General’s objection. With the preliminary objection out of the way, it was time to go into the merits of the case. 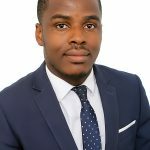 As one would expect, Mr Joe Reindorf opposed the grounds put forward by Dr Tuffuor’s lawyers. Mr Joe Reindorf argued that the 1979 constitution had ushered in a new era. He contended that before the 1979 constitution came into force, the hierarchy of the courts ended at the Court of Appeal and therefore stressed that no justice could have therefore held the office of Justice or Chief Justice of the Supreme Court. In his estimation, Justice Apaloo was only Chief Justice of the Court of Appeal and in view of that needed to go through the approval process for appointment as both a Justice of the Supreme Court and also Chief Justice. Mr Reindorf had other ideas. 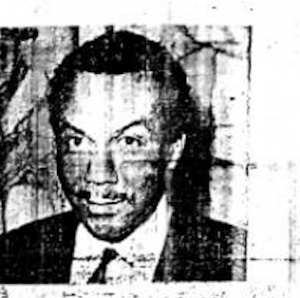 He argued that even if it was accepted that Justice Apaloo became Chief Justice by default on the coming into force of the 1979 constitution, by accepting to appear before the Appointment Committee of Parliament, he should be deemed to have waived any immunity provided under the constitution and should accept the consequences of his actions. With these pronouncements, the roadblocks in the way of Justice Apaloo were cleared. He went on to hold the position of Chief Justice until his eventual retirement in 1986. 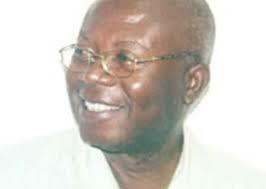 He was the first Chief Justice in Ghana’s history to have served his full term and retired. After his retirement, he was appointed Chief Justice of Kenya from 1993 to 1995. He was appointed as an elder of the Golden Heart in 1993 in addition to two previous national recognition he had received in Ghana. He died in June 2000 at the age of 79. Brilliant. More of these great historical expositions please. So wat was the judgement by justice Sowah?